The first wave of asbestos-related deaths were the miners. The second wave was the people who worked with or installed the material. By most predictions, the third wave is the ones who decide to renovate or remove it without the right safety precautions. 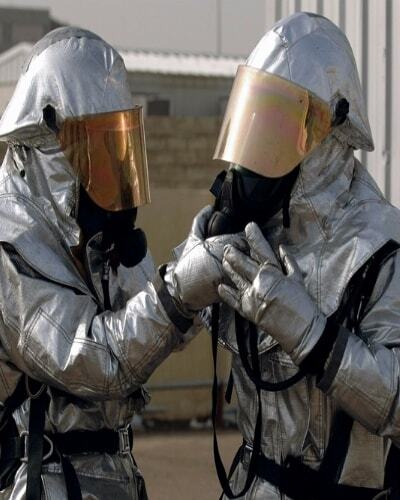 Asbestos removal guidelines in most countries are very clear. To handle it, process it, remove it, and dispose of it, you need licenses. Multiple permits and certifications are required. However, there is nothing legally forbidding you from doing it yourself. In such a case, for your safety and that of others, please keep in mind the precautions below. Take the necessary precautionary measures. This includes full-length coveralls and respirators, along with gloves and gumboots. These are very uncomfortable to wear for extended periods and trap heat, but they protect you from contaminating your clothing or breathing in the fibres. Be sure to contain the area. If you don’t have professional containment materials, keeping the sheets wet can render the fibres dormant. As long as you don’t break anything, wetting the asbestos as you work will minimize the risk of contamination. Do not – we repeat, do not – remove the safety gear unless you are clear of the work area and in a contained space. To minimize heat-related problems working with asbestos while wearing the right gear, we recommend taking frequent breaks and drinking iced water. This will help cool the body and cut down on the urge to remove the protective gear. In the summer, be wary of using grinders. These are used for removing shed frames and bolts but are also a fire hazard during the hotter months. Avoid an overuse of power tools, particularly high-pressure hoses and compressed air. These carry the risk of breaking the sheets and causing potential contamination. When working on asbestos roofing, asbestos removal guidelines recommend walking in areas with timber underfoot. In the absence of timber, any underlying structure will do. This is to minimize the risk of the asbestos roofing breaking and you falling through. When working on a steep hill, make sure that the now-dislodged sheets do not slide down on the way up. A steep hill can create a low suspension, and in just a little time, gravity can cause a mess. Keep the sheets secure, both during work and during transport. The heavy asbestos sheeting can cause a number of injuries. Back, neck, knee, and muscle injuries are typical. Have first aid kits ready, and make sure you know the local emergency services numbers in case they’re needed. When transporting asbestos, the easiest way is to pile the sheets up. However, this causes them to settle when strapped down or secured, meaning that what you tie down is looser at the end than at the start. To minimize this, pack without any gaps and strap it down tighter than normal.